It was hard. It was rewarding. It was worth it. 52,009 burpees completed. Over $15,000 raised. Countless people being active. A community blessed & strengthened. Thank you to everyone who helped, supported & encouraged. A unique event to bless, encourage and challenge people to build a healthier, stronger community 1 burpee at a time. Follow us on Facebook & Instagram. Thanks for your help and we look forward to burpee-ing with you! To watch the BA promo video: click here. Ready to compete or just want to have fun with the family – there’s something to do for everyone. Burpee contests with cash prizes. Bounce houses, face painting & balloon animals for purchase. Silent auction with thousands of dollars worth of items. Muchachos Food Truck. Kona Ice. Better Life Nutrition. Fire truck and police car for the kids to check out. Kid relays & football toss. Fitness demonstrations. Test your 40 yard dash time. Check out the multiple vendors tables. Plus more… A portion of all sales will go towards the Burpee Like BA fund. 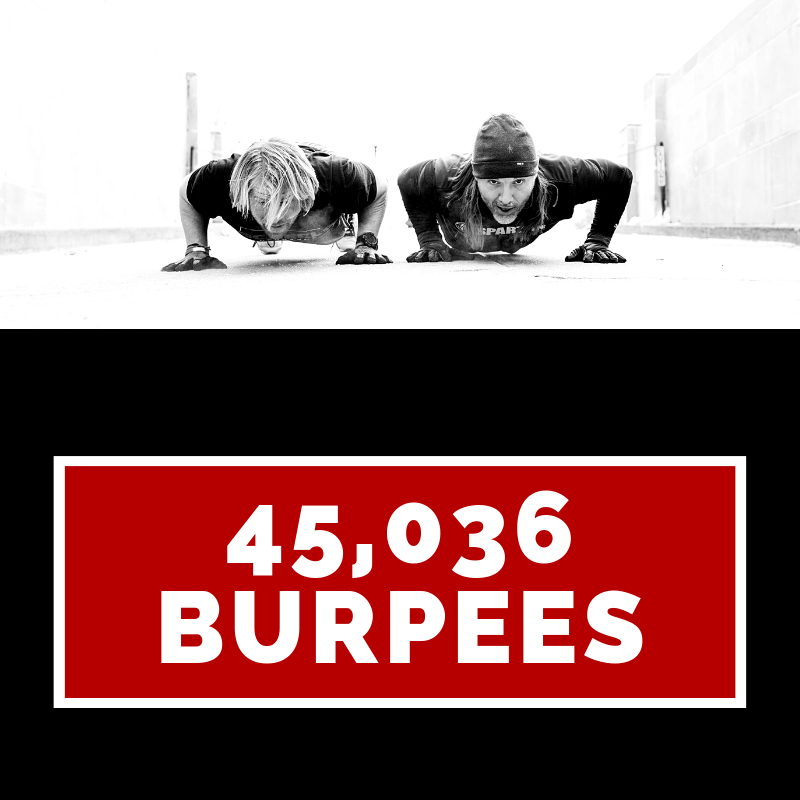 The Goal is 45,036 burpees but they can’t do it alone. We need support from as many as possible. Bo & Aksel will attempt to complete half of the burpees (22,518) between the two of them in 45 hours and 36 minutes. The other half will require the help of all who are willing. Register for the burpee competition or come on out any time during the 45 hours and 36 minutes; either way. contribute as many burpees as you can alongside Bo & Aksel to help us hit our goal and raise money for local charities. This is the true heart of this project. We love Lincoln and the local charities that help make it great! Would you consider joining us as we invest back into those who serve our community? The Goal is $45,036 but we can’t do it alone. We need your help! Donate today!